Oprah Winfrey was right when she said, “Don’t worry about success. Worry about being significant and the success will naturally follow”. 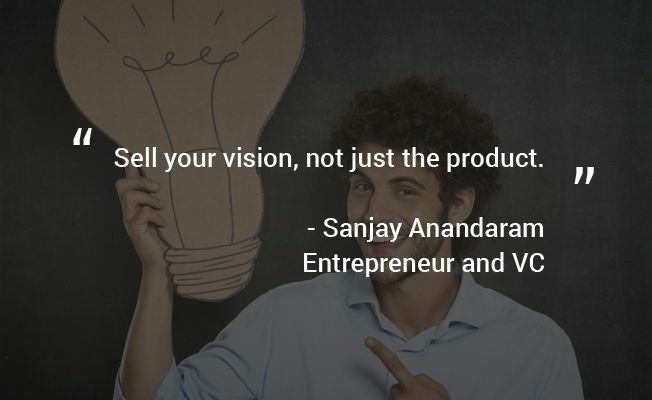 Here are ten powerful quotes from Indian entrepreneurs that will recharge your energies and once again encourage you to dream big! Crackverbal is a startup offering GMAT and GRE coaching and application services. Saumil Majumdar is personally engaged with over 100,000 children, 50,000 parents and over 200 schools in the sports domain over the last decade. He is an alumnus of IIT Mumbai and Indian Institute of Management, Bangalore. 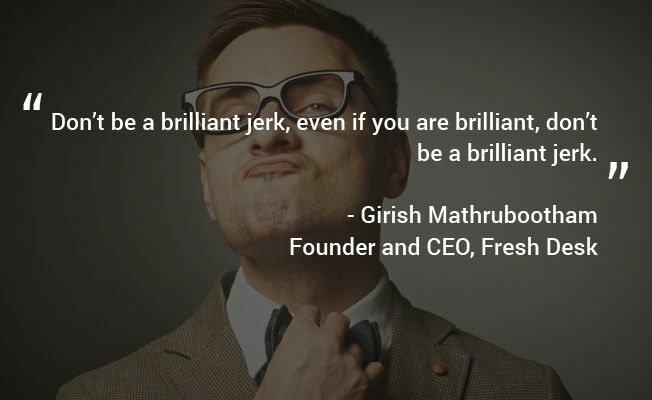 What: Freshdesk is a cloud-based customer support software that lets you support customers through traditional channels like phone and email. It serves some 30,000 customers worldwide including Hugo Boss, UNICEF, Good Reads, University of Pennsylvania, etc. Venture Partner, Seed Fund; Advisor at Ojas Venture Partners, Sanjay has over 25 years experience as entrepreneur, corporate executive, venture capitalist, angel investor, teacher, advisor and mentor. He is an advisor to early stage funds and also overlooks a social fund. Kalpana Rao of Pari’s created a specialty store in Bangalore that deals in clothes made up of natural, environment-friendly dyes. RJS is a leading game and app development company based out of Kolkata, India. For those awesome companies that want to attract the finest minds and play the game beyond HR, plugHR drives hiring, motivation and performance, and automates people management in minutes. It also innovates for culture development in organizations. Practo is an innovative health startup which schedules appointments of patients with doctors online. Practo’s technology significantly improves patient experience and allows better functioning of clinics. GoodWorkLABS is a new-age boutique software lab offering solutions in Software Development, Mobile Apps and Games, UX and UI Design and enterprise solutions. Vaatsalya is an award winning social enterprise, focused on building a network of hospitals in Tier II and Tier III towns in India. 13 Must-Watch Japanese Animated Films That’ll Be Worth Your Time!